Designed to meet the needs of the psychic enquirer and those who have an introduction but want to take it further and for improvers who want to re-connect., The 9 week evening course 'CHAKRA MEDITATION' is the ideal interactive psychic & spiritual development. 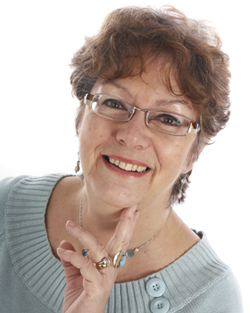 Pam is I am a professional medium and clairvoyant her and my working and teaching experience spans 40 years. ; Pam’s professional skills include Hypnotherapy, Touch Healing and Astrology which give her a unique insight into the chakra system and its outcomes, physically, emotionally and mentally. The purpose of this course is to both balance and stimulate the seven major chakras. This course is not only designed to boost your natural health responses, it arouses awareness of the psychic senses. Pam promotes this knowledge in you with a journeying technique which puts the control and extent of development firmly into the hands of the participating pupil. Your experience of these seven power centres is individually guided and interpreted by Pam, so week by week you develop awareness of the advances you make. When you have completed the Chakra Meditation Course -then you can enrol on the 10 WEEK ADVANCED CHAKRA DEVELOPMENT COURSES for an in-depth chakra development experience. Just how can you express the energy you are now releasing -what capabilities do you have? In this 10 week programme the journeying meditation techniques taught by Pam in the Chakra Meditation course are will be deepened and you will learn to channel healing energies and get positive results, engage your Spirit communicators, develop clairvoyance and the ability to read for others, express yourself through object reading and not least, with the help of Pam’s psychic art skills, open up the creative channels of power to develop your latent artistic ability. As you have come to expect from JCPF teachings, you will always be shown how to practise -also how to open up the higher order of consciousness and just as important, close down in safety with the practise of grounding sessions. I have attended this course a couple of times and have found it very beneficial to my wellbeing,Pam is a lovely gentle person who guides you through the meditation. Making new friends along the way . I've attended both courses and what a difference Pam has made to my life, having cleared some of the crud from my chakras I am able to go forward with more confidence and feeling more connected to spirit and those who have passe over, I have also manifested lots creatively.